People are sometimes confused about my personal relationship with digital communication technologies. On the one hand, I’m a computer scientist who studies and improves these tools. As you might therefore expect, I’m incredibly optimistic about the role of computing and networks in our future. On the other hand, as a writer I’m often pointing out my dissatisfaction with certain developments of the Internet Era. I’m critical, for example, of our culture’s increasingly Orwellian allegiance to social media and am indifferent to my smartphone. Recently, I’ve been trying to clarify the underlying philosophy that informs how I think about the role of these technologies in our personal lives (their role in the world of work is a distinct issue that I ‘ve already written quite a bit about). My thinking in this direction is still early, but I decided it might be a useful exercise to share some tentative thoughts, many of which seem to be orbiting a concept that I’ve taken to calling digital minimalism. To understand what I mean by digital minimalism it’s important to first understand the existing community from which it takes its name. The modern minimalism movement is led by a loose collection of bloggers, podcasters, and writers who advocate a simpler life in which you focus on a small number of things that return the most meaning and value — often at the expense of many activities and items we’re told we’re supposed to crave. Minimalists tend to spend much less money and own many fewer things than their peers. They also tend to be much more intentional and often quite radical in shaping their lives around things that matter to them. These ideas, of course, are not new. The minimalism movement can be directly connected to similar ideals in many other periods, from the voluntary simplicity trend of the 1970s to Thoreau. But what is new is their embrace of tools like blogs that help them reach vast audiences. I first encountered this movement through Leo Babuta’s Zen Habits blog about a decade ago. This was the early days of Study Hacks and these sources soon played a major role in transforming my writing and speaking during this period. 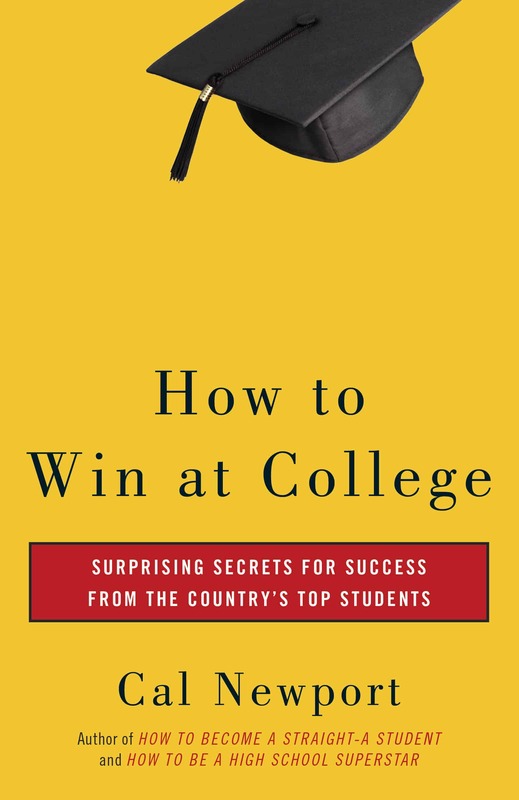 Most notably, they shifted my attention away from the technical aspects of studying and toward the philosophical aspects of creating a meaningful student experience (the Zen Valedictorian, for example, owes an obvious debt to Zen Habits). 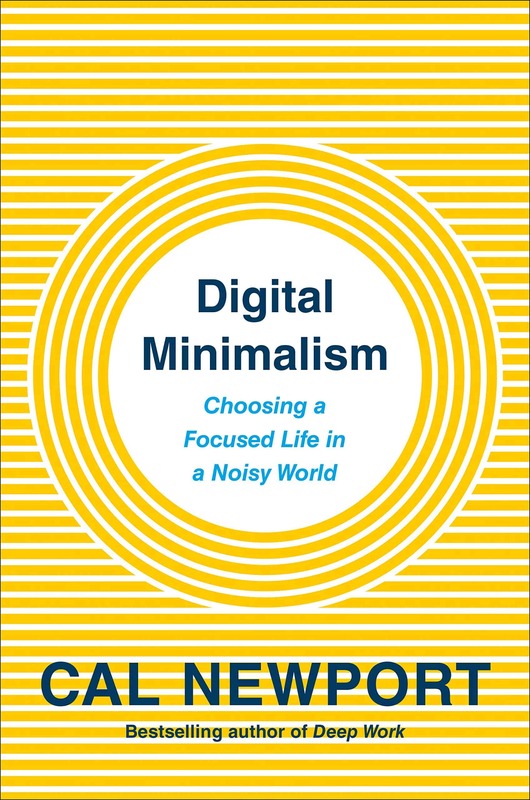 To be a digital minimalist, in other words, means you accept the idea that new communication technologies have the potential to massively improve your life, but also recognize that realizing this potential is hard work. Missing out is not negative. Many digital maximalists, who spend their days immersed in a dreary slog of apps and clicks, justify their behavior by listing all of the potential benefits they would miss if they began culling services from their life. I don’t buy this argument. There’s an infinite selection of activities in the world that might bring some value. If you insist on labeling every activity avoided as value lost, then no matter how frantically you fill your time, it’s unavoidable that the final tally of your daily experience will be infinitely negative. It’s more sensical to instead measure the value gained by the activities you do embrace and then attempt to maximize this positive value. Less can be more. A natural consequence of the preceding principle is that you should avoid wasting your limited time and attention on low-value online activities, and instead focus on the much smaller number of activities that return the most value for your life. This is a basic 80/20 analysis: doing less, but focusing on higher quality, can generate more total value. Start from first principles. Digital maximalists tend to accept any online activity that conceivably offers some value. As most such activities can offer you something (few people would write an app or launch a web site with no obvious purpose) this filter is essentially meaningless. A more productive approach is to start by identifying the principles that you as a human find most important — the foundation on which you hope to build a good life. Once identified, you can use these principles as a more effective filter by asking the following question of a given activity: will this add significant value to something I find to be significantly important to my life? The best is different than the rest. Assume a given online activity generates a positive response to the question from the preceding principle. This is not enough. You should then follow up by asking: is this activity “the best” way to add value to this area of my life? For a given core principle, there may be many activities that can offer some relevant value, but you should focus on finding the small number of activities that offer the most such value. The difference between the “best” and “good enough” in this context can be significant. For example, someone recently told me that she uses Twitter because she values being exposed to diverse news sources (she cited, in particular, how major newspapers were ignoring aspects of the Dakota pipeline protests). I don’t doubt that Twitter can help support this important principle of being informed, but is a Twitter feed really the best use of all the Internet has to offer to achieve this goal? Digital clutter is stressful. The traditional minimalists correctly noted that living among lots of physical clutter is stressful. The same is true of your online life. Incessant clicking and scrolling generates a background hum of anxiety. 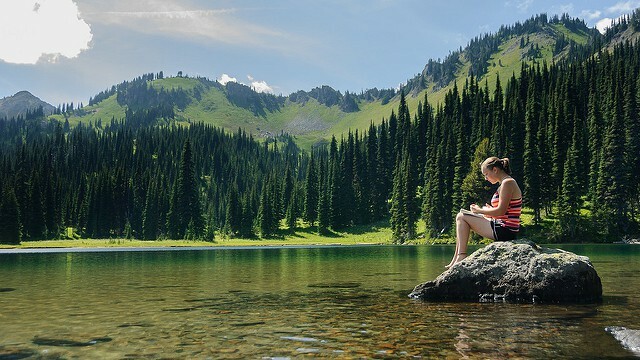 Drastically reducing the number of thing you do in your digital life can by itself have a significant calming impact. This value should not be underestimated. Attention is scarce and fragile. You have a finite amount of attention to expend each day. If aimed carefully, your attention can bring you great meaning and satisfaction. At the same time, however, hundreds of billions of dollars have been invested into companies whose sole purpose is to hijack as much of your attention as possible and push it toward targets optimized to create value for a small number of people in Northern California. This is scary and demands diligence on your part. As I’ve written before, this is my main concern with large attention economy conglomerates like Twitter and Facebook: it’s not that they’re worthless, but instead it’s the fact that they’re engineered to be as addictive as possible. Many of the best uses of the online world support better living offline. We’re not evolved for digital life, which is why binges of online activities often leave us in a confused state of strung out exhaustion. This explains why many of the highest return online activities are those that take advantage of the Internet to improve important aspects of your offline life. Digital networks, for example, can help you find or form a community that resonates with you, but the real value often comes when you put down your phone and go out and engage with this new community IRL. Be wary of tools that solve a problem that didn’t exist before the tool. GPS helped solve a problem that existed for a long time before it came along (how do I get where I want to go? ), so did Google (how do I find this piece of information I need?). Snapchat, by contrast, did not. Be wary of tools in this latter category as they tend to exist mainly to create addictive new behaviors that support ad sales. Activity trumps passivity. Humans, deep down, are craftsmen. We find great satisfaction in creating something valuable that didn’t exist before. Some of the most fulfilling online activities, therefore, are those that involve you creating things, as oppose to simply consuming. I’m yet to meet someone who feels exhilarated after an evening of trawling clickbait, yet I know many who do feel that way after committing a key module to an open source repository. The above list, and much of the thinking behind it, is still tentative. I should also emphasize again that it applies almost exclusively to the role of digital technology in your personal life, and is largely distinct from my thinking about how to integrate technologies productively in the professional sphere. But there’s something coherent lurking in the background here that I will continue to work through. Digital minimalism, for example, has helped me better understand some of the decisions I’ve made in my own online life (such as my embrace of blogging and rejection of major social media platforms), while at the same time challenging me with areas where I could be leveraging new technologies to even better support some of my core principles. In other words, like any productive philosophy, it gives me both clarity and homework. The bottom line of this general thinking is that a simple, carefully curated, minimalist digital life is not a rejection of technology or a reactionary act of skepticism; it is, by contrast, an embrace of the immense value these new tools can offer…if we’re willing to do the hard work of figuring out how to best leverage them on behalf of the things we truly care about. Good post. Keep ones like this coming please. Thanks. Will be posting a link to this one on Twitter ?? Great applied philosophy Cal, looking forward to seeing where you take it. Thanks for the read. The concept of Digital Minimalism is something that—I’m realizing this now—I’ve been thinking about for a while. I’ve recognized that weird full-but-empty feeling you get when mindlessly surfing or scrolling or swiping for a long time but it’s been difficult to really get a grip on. About two years ago I wrote something I called “the automator’s manifesto” (mostly for myself), basically advocating an approach to use technology in ways that allow you to be more present in real life (yep: use technology so you can use less technology 😉 ). The main idea, of digital minimalism and of my thoughts back then, I guess is that you should put yourself at the center of your own life. That’s really what it’s all about, no? Even outside of the technology discussion, all we’re really trying to do is figuring out what makes us happy and spending a bigger fraction of our time there. And a big part of that is forcing ourselves to take the time to consciously think about this. Thanks for feeding my mind. You’ve definitely influenced my life for the better over the years I’ve been following your work! I’m curious to the rest of this discussion. Well said. I’d be interested in seeing some form of that “automator’s manifesto”. On putting oneself in the center of one’s own life, however, I think major social platforms like Fb already capitalize on a misguided version of this idea, a certain self-centered tendency, re: Celebrity Me. It still makes sense in context of what you’re saying; I only think the other camp won’t see the difference in how they’ve (unthinkingly) adopted this idea already. Perhaps we should be clearer about emphasizing self-management and control. I think there’s a crucial difference between the “Facebook version” of being self-centered and the one I’m advocating: the former is founded upon getting acceptance from others (through the worst medium possible—there’s just so much communication that disappears when communicating through text & likes instead of face-to-face) while the latter is founded upon a deep respect for, acceptance of and love for yourself (see Brené Brown’s work). Building strong habits is definitely a crucial part of the solution. 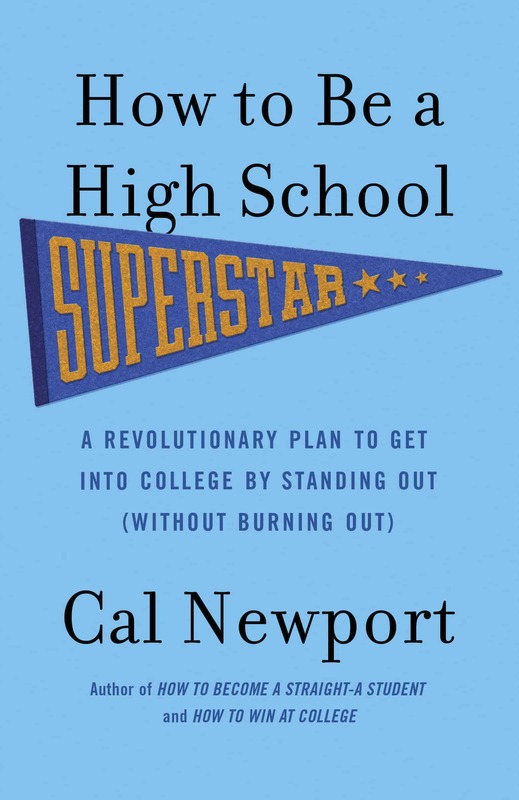 Things like Cal’s root commitment have definitely helped me. Just as in business, I’m starting to see the usefulness of guidebooks, checklists, “process automation” etc. in real life. I’m thrilled that you included Mr. Money Moustache in that list. His blog is a great way to spend your digital time. I’ve seen a pattern emerge after reading countless books. The highest commodity in our life is our time. Everything we buy (Your Money or Your Life/ Mr. Money Moustache/Minimalism) is an exchange for our time. Everything we focus on, either conscious positive thoughts or negative rumination (Buddism/ Zen), changes the way we experience our time. The activities we choose to engage in (Quadrant I or II in The 7 Habits of Highly Effective People, and Shallow vs Deep Work) decides if we let our time slip by or if we magnify it’s impact. Digital time has such a spectrum. It would be interesting to see a system developed to help people consciously track their time spent online and evaluate if the activities a) contributed real pleasure to their lives and b) are inline with their values and principles. Something similar to the system Your Money or Your Life is based on. It might be a valuable tool in helping people become more proactive in their online pursuits. Having consciousness of all this is important. Very interesting post! I have to say that I couldn’t find anything that I disagreed with. However, I feel that achieving digital minimalism is easier said than done. I would love to say I’m a digital minimalist but I unfortunately fell down that hole some time ago & have been trying to climb my way back up. It’s quite habit forming. I’ve deleted Candy Crush from my phone several times only a week later to be faced with a need for some easy way to turn my brain off. So back it comes. Like those who over eat, food & digital activity, are essential parts of every day living. How do you control a habit when instant gratification is one click away? As you said, it’s habit-forming. You seek this behavior automatically. In order to break a habit, you need to use *willpower*. When you get bored and seek distraction, you need to force yourself to not download the app – to instead focus on your breathing, or try to clear your mind, or just deal with the boredom. The good thing is that you will eventually develop a new habit (of letting your mind be curious again and your creativity grow) to replace your addictive distraction habit, and you’ll no longer need willpower. There are some things you can do to help yourself along the way. You can leave the phone at home. You can power off your phone, so it’s more effort to get to Candy Crush. People tend to resist this sort of advice. “I can’t, someone might try to call me!” But at some point, you can either decide that your time is for anyone to kidnap at any time, or that your time is important enough that you get to decide what to do with it. Excellent and inspiring post Cal. You made a brief mention of Thoreau above. I recently read in his journals: “What does education often do? It makes a straight-cut ditch of a free meandering brook.” If an excess of high quality material can diminish who we are — we can only imagine what the excess of low-value social media can do. Much of the problem of social media is the NUMBER of things, and the number of context shifts. I’ve found news reading to be the same as social media addiction. Why do we spend so much time reading news websites? Because they update regularly which gives us novel information, they create an emotional reaction – often fear or anger, and they make us feel connected to other people. When I actually think about it, almost nothing in the news directly or indirectly affects me. And there is not much I can do about most of it. If something is really important, or really affects me I know I will learn about it anyway – I’ve done “news fasts” of several months before, and it really only had positive impacts on me – less time wasted, less time worrying about things I can’t influence or control, and less time getting angry about things that don’t really matter. As I ponder and plot my escape from Facebook, I find this blog post helpful. I would quibble a bit on things like the definition of minimalism – maybe not so much a lifestyle as just who a person is or isn’t (and I am). In the same vein, the statement that “digital clutter is stressful” is, I believe, only applicable to some, not to all. (I have known those who thrive in a mess.) Also, I don’t think GPS helped to solve a problem that was previously without a solution. I still prefer a map that folds however difficult that folding is. But these are just quibbles. I am happy that you are thinking through your personal relationship with “digital communication technologies” and sharing those thoughts not on Facebook but with a blog post. My escape from Facebook is imminent, I am sure, but the fact that I can’t just do it without thought says, perhaps, something positive about me, and/or something sinister about Facebook … but I have yet to figure out exactly what Facebook is and hence to judge accurately its value in my life. But, given that, why be involved at all with something one doesn’t really understand? At this point my interaction with FB has been winnowed to near nothing, but just being there, having a page, is, to me, a questionable activity. Like you, I enjoy blogging. And I got off Twitter years ago. Talk about a mess! Anyway, I look forward to reading more as your personal thoughts on this mosey along. An interesting article based on your philosophy. I think that a few people, me included, get overloaded with all the digital stuff available. I think we need to unplug a bit from the Matrix, in order to maintain a sense of self. Great post. Especially good that Cal supplied so many sources and links for further reading. As a digital immigrant rather than digital native, I have a harder time typing w/ thumbs but an easier time not going down the i-phone rabbit hole. I am truly impressed when young digital natives like Cal can see the need to shut off and get out of The Shallows. One’s life can be composed of consuming things other people make or making your own things for others. I choose the latter. Great piece, Cal! You’ve articulated many thoughts that have been running through my head for a while. I think I’ve finally found appropriate words and way that will help me explain to my mystified friends and family why I’m not on Facebook, WhatsApp, Twitter, Snapchat and Instagram… if they ever find the dedicated 10-15 continuous minutes it takes to read this article. About Twitter (social media in general) and digital clutter, I think that a great way to make the better of this plethora of information is to use curatorship services, like lists and newsletters. Social media in general is constructed on the “slot machine effect”. You have random results that reinforce your need of constantly unlocking your phone to check if there’a something new and interesting to see. I discovered that lists (on Twitter and Facebook) and collections (on Google+) are a better way to reduce this effect of random rewards. Lately I’m using social media much less and more effectively with lists. About the digital clutter, I started using newsletters and I stopped visiting websites because I can’t stop reading once I start. There’s no end, unlike newsletters. And the information is distilled, so the creators of the newsletter scrap out all the clutter and non important info. * Hugo v. Rahner, Man at Play, New York, 1972. Tom, thanks for the Time Well Spent site! That video is amazing. – Website: http://www.timewellspent.io – newish organisation founded by ex-Googlers advocating for better ethics of attention design. One of your real Gold Nuggets. Do I see a third book prospect on the horizon? You have (justly) criticized social media for stealing our attention and damaging our ability to focus, but I didn’t see any realistic alternatives to the useful benefits they provide. For example, you suggested that the Twitter feed was not the best way to be well informed and exposed to diverse news sources, but what is? Similarly, what is a realistic alternative to Facebook for people without technical skills who want to stay in touch with friends and family, and share photos, life happenings and event invitations? I think it’s easy for technologists, researchers and “digital minimalists” to pat ourselves on the back for criticizing exploitative technologies like modern social media or news sites, without coming up with working solutions for the people who depend on such technologies today. As a simple example, let’s take this website. If someone replies to this comment, will I get an email? I don’t know. Therefore, if I want to continue this conversation and take away something meaningful from it, I will have to come back and check it manually. This seems to violate the principles of digital minimalism that you are proposing. Shrutarshi, allow me to jump in on the discussion? I agree that it is easier to criticize without offering viable solutions, but since Cal himself has been living this philosophy for a while now without suffering socially, I do expect it will be discussed how he does it. I am convinced it is possible. As for the point on Twitter: let’s question from first principles whether Twitter’s version of helping you “staying informed” adds value to your or anyone else’s life in the first place. I used to think it did, but it turns out to be another form of addiction to novel stimuli. As for the notorious Facebook: Cal isn’t saying it is worthless, but instead he gives us to understand that it may be worth LESS and cost more than you might think or want. Like everything else, Facebook is a tool, and “every tool should nourish the things upon which it depends” (Sep Kamvar), i.e. it should enrich the offline relationships with the people you’re addressing the updates to. Friends and family don’t exist solely on Fb; photos and life happenings, considering they are worth sharing, can be shared in person and not as frequently; same with event invitations, and there’s always an actual phone call as an option. How would the need to share in real time affect your offline behavior, pro or con, better or worse? Deliberate and conscientious use of these tools—THAT’S what this philosophy advocates. If Fb passes all your criteria and you use it wisely, by all means go ahead. It’s not just what it is or what you do with it, it’s what it does to you. Thanks for your input on the conversation. I’ve always considered myself a strong-willed person but so far, my attempts to unplug myself from e-mail box and social media are unsuccessful. Athletes know that practice makes habits… There are a finite number of discrete habits that you can productively incorporate into your performance. A common choice is between a smart phone log or a A5 notebook. I will already be carrying a smart phone with me all the time. That means the design of my practice is focused on routines that involved using a phone as a notebook. I expect this design will evolve. When I sit at a desk, the costs of using a A5 notebook is lower and it’s arguably a better experience to me. I can easily digitize the contents if needed into my smart phone. About your post. Yes, problems of digital overload have much in common with the problems of affluence. Even if one could buy, say, a penthouse in Manhattan, a ski retreat in Aspen, a beach house in the Bahamas, and a pied-a-terre in Paris, plus a Gulfstream to jet from one to the other, one cannot escape the fact that one is in a human body in the Theater of Space-Time. In other words, one cannot be in four, never mind two places at the same time. And when one’s time has come to an end, all the gigazillions of dollars in the world cannot buy another breath. “The hearse does not have a trailer hitch,” as “The Estate Lady” Julie Hall, says. And so it is with digital tools– we can have as many as we want, we can spend all day clicking on our feeds, from Facebook to Twitter to Instagram, to Whatsapp– and ye olde email– and download a bunch of free, cheap, and maybe even $10.99 apps every single morning, afternoon, and evening– and it doesn’t change the fact that we are in a human body in the Theater of Space-Time. We need to eat, to sleep! There are 24 hours in a day and 365 days in a year, and though we do not know how many years we have, if all of human history may be our guide, we can be pretty darned sure those years will not add up to anything past 100 and maybe a few more. Maybe. We– all of us reading this blog– have won the digital lottery, in effect. We are awash in digital affluence. We can have oodles of whatever we want– email, Facebook, Pinterest, YouTube, Google-all-day-long. So easily, it all becomes too much… clutter. I don’t have to go looking for a phone booth any more. E-logs keep you honest. Being a minimalist is just using stuff that works for you, and discarding stuff that doesn’t.If E-logs weren’t a federal mandate I wouldn’t have them. I would still be able to run legal on paper. So they are unnecessary. Satellite/cable TV is unnecessary because of the expense. Mechanical engines, better than electronic. Stuff that’s owned outright is better than the stuff that is not, etc. Thank you for affirming the choice to carefully curate digital inputs. When I retired all but one (Pinterest) social media account and sent a message out to all my contacts to please text, email or just call or have coffee with me it was amazing. Friends, real friends that is, reached out and were encouraged and inspired to retire their own social accounts and connect with more direct and authentic communication. I hope more will continue to use technology to organize and enhance their real world interests. Good post – thank you. It’s encouraging to know you (and hopefully other computer scientists) are thinking through what is valuable about digital access. Although it turns out this is a reasonably important ‘it’: One cannot just disappear from friends’ lives without explanation, nor can you quell the desire to buy books ‘now’ rather than by mail order. With a very limited, very expensive temporary link it’s interesting what looks worth while to download. Could I praise your article more highly? Good post. I deleted Facebook permanently circa 2012 and that instantly improved my life. Fast forward to my next career, where I was forced to work within social media guidelines and create yet another Facebook. It was tedious and exhausting, to “friend” people (again) and pretend I cared. I was out of the game, and the game pulled me back in like Al Pacino. Digital minimalism is akin to “normal” minimalism, in my estimation. Reducing life’s options to better fit one’s selective criteria seems natural — if only human beings confounded to such life rules in the first place. Life gets complicated often because we make it that way. “You can’t fit square pegs in round holes,” Benjamin Hoff wrote. The same applies for anything, especially technology. You won’t get work done if you look through a 25-photo slideshow, or you might ignore your romantic partner by constantly checking your Snapchat. Anyway, I enjoy this. It provides a better glimpse into what is really important in this life. Things we create and that last, that is truly special. Tweets and 10-second videos and clickbait and Buzzfeed quizzes will all fade into the abyss, never causing a stir. Cheers. Thanks Cal for the post. Also thanks to Leo & The Minimalists for spreading this message actively. One thing I like about computer engineers is their craft of economy and concision. Beautiful code is spare. I agree with this article’s philosophy. Cal, read this post this morning, then saw this: http://www.futurity.org/social-media-depression-anxiety-1320622-2/ It links increased number of social media platforms to increased risk of depression. Thought I should pass it on if you haven’t seen it already. Great post btw! Thank you, Cal, for this post. I’ve been thinking about attention, clutter (both physical and digital) for some time now, and I’m making gradual progress toward minimalism. I briefly used Twitter and soon realized that all of those tiny bits of information, along with everything else out there hurtling toward me: emails, Facebook posts, etc., made me more anxious, and when I’m more anxious, my attention and focus plummet. I’ve found that a few sources bring me thoughtful and useful information (like reading your blog posts) or deep enjoyment (I’m a member of an online book club). Although I didn’t knowingly apply “first principles,” after reading this blog post, that’s what I’ll do in the future. Fascinating blog post and discussion comments. Hi Cal, I agree with everything on your blog. Majority of humans are pleasure seekers, and they like to live in a fantasy land ignoring (or withdrawing from) the reality surrounding them. Digital Maximalists and let us coin the term Social Digital Maximalists, certainly tend to get lost in this information explosion. Instead of benefiting from it, they get lost in it. I am as guilty of this at times, as the rest, so not really taking a moral high ground here. However, we need to consciously draw boundaries, and change our thought processes, so that we don’t become a zombie in the process. There is an optimalism possible in Digital as much as in every other sphere of human activity. I like and respect the minimalism… Good article… I’m better in minimalist web development… 🙂 Thanks bro! Thanks Cal, great article. I’m curious as to the ‘utilizing for professional purposes’ area. For example, promoting blog posts such as this. For a new blogger starting out, many would suggest aggressive use of Facebook and Twitter, amongst others, to get your content out into the feeds of people online. This is great Cal. I like the idea of digital minimalism especially in the age of app addicition. We are seeing more and more people being sucked into their screens, dependent on the lastest social media app. Personally, I have been using Space space.usedopamine.com to limit my app useage and consumption. Its helped me not only be a better minimalist but its made me significantly happier. Digital minimalism is a concept I find myself embracing and going back to over and again. As someone who suffers from severe anxiety, our real-time culture offers up too many distractions and too few opportunities to slow the mind. I am a minimalist on most all fronts. The digital realm has been my hardest to tackle, but it will be a great win once tamed. Thank you for sharing your words and ideas. I’m here after reading (and loving) your email about value and digital minimalism. Thank you! As someone who works from home, it can be difficult to establish those casual water cooler connections with co-workers and friends, and social media fulfills some of that role for me, so I’ve already figured out that deleting accounts or limiting social media time severely isn’t the right fit for me. The proposed framework of core values, minor values and invented values helps sort out what is important. Now, I just need to figure out how to use the services and extract the important values without subsequently getting sucked into the designed addiction of the services. Please let me know if you have any ideas on this. I feel like I’m already on the right track, but would appreciate any insights you might have as well. I’m sorry (not really 😉 ) but I just can’t agree with minimalism, and therefore this post. The real world is complex. I too work in computer science (40+years) and I train programmers and teams and design and write languages. Embracing minimalism and by extension some sort of simplicity ignores the often intractable difficulties we must face to achieve any real results. As an engineer I need models to make it possible to understand what is happening, but I need a far more complex model to translate that into reality. eg we can go a long way by ignoring friction in our models, but we must allow for it in final results. Minimalism becomes a retreat for those overwhelmed by the complexity and reality of life. To be helpful we need to look at why it is so overwhelming and help others cope. If we fail to do that the richest experiences of life will be missed. Ask an artist/musician/writer. Minimalism in art is beautiful; complexity is sublime. I don’t think that is what he was getting at. I work as a professional marketer and the I’m constantly working with all kind of tech. Most is indispensable. As he points out that is the professional side of things where minimalism might not totally work. Note that I say totally because I do believe we can over complicate our digital lives at work hence the existence of concepts such as inbox zero. What I think the author was ultimately talking about was outside of work. How we tend to plug in instead to things that end up adding little value to life and how when you unplug(minimalize) technology you can find still find the enjoyment of life, family, friends, nature etc. as we had been able to do pre industrial revolution. This is a great post. What are your preferred tools? Pingback: Want To Have A Better Memory? This is truly an inspiration. I feel the same way about technology. I love it, but I use what serves my life. It is a tool and doesn’t consume me. I am teaching my kids the same thing. My 8 year old wants to know when she can get a smartphone. “When you are an adult, you can decide if you need one or not,” is what I say. I have started a minimalist blog my self! I am trying to demonstrate how living with less can boost your life, and how minimalism and psychology are connected! Owning stuff will not make you a non-minimalist, but the ability to understand what you really need will make you minimalist! Thank you for this great blog! It’s definitely a win win for all of us and I’m grateful for that. 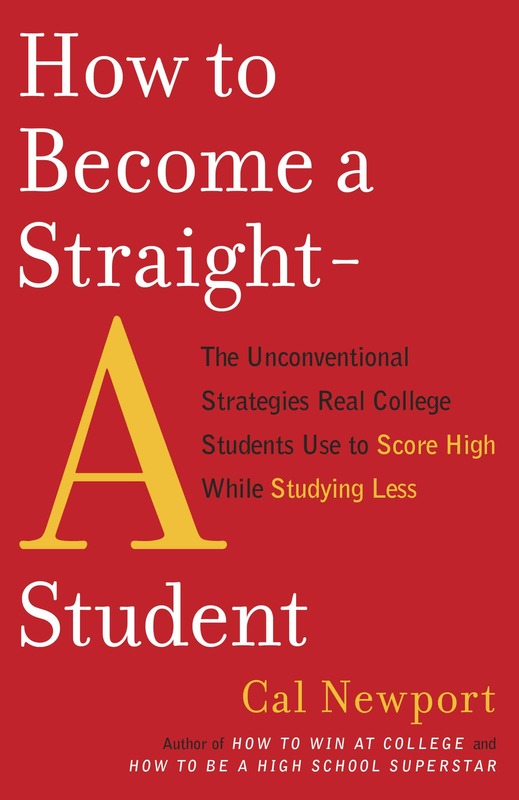 I read your how to get straight A book when i was in high school– 12 years ago haha. It’s interesting to come back to your writings and see how it has slightly changed with more current recommendations. Really enjoyed this article. It has me thinking about how to apply the concepts in other areas of my life. For example, fitness minimalism. Thanks for the inspiration Cal. I really enjoyed your post and I am trying the 30 day experiment. One question I have is whether messaging your friends once a day (usually 8:45 PM) for 5 minutes is a bad thing. I mean, messaging isn’t the same as social media and I have friends that don’t live near me. Would messaging be an example of an optional technology, or does it depend on the situation? Could Goodreads or LinkedIn be as harmful as social media? For Goodreads, I don’t scroll through reading lists nor reviews to not waste time on it. I only use Goodreads to track my reading journey and write reflections for each book. For LinkedIn, it seems like everyone has it, as if it is a necessity. However, can it be addictive? Pingback: Digitaal minimaliseren geeft rust - ? Dirk Jan Zwartveld ? There is a lot to be said for the minimalism movement. Simpler, slower, more enjoyable. Technology is going to keep creeping into our lives more and more. Which is fine. But being able to simply relax and enjoy the song of a bird or a quiet day by a stream is incredible.